Despite the bible condemning Homosexuality in Leviticus 18:22, 'You shall not lie with a male as one lies with a female; it is an abomination. '(NIV version), the leader of the Roman Catholic church Pope Francis has made some controversial statements saying that the Roman catholic church should apologize to gays for offending them. 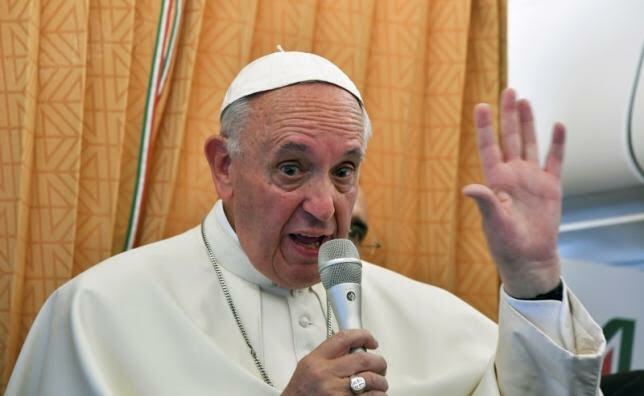 While on a press conference aboard the Papal Plane on his way from Armenia, Pope Francis responded to a question from a journalist about a German Cardinal who said the Catholic Church should apologize for being "very negative" about gays. 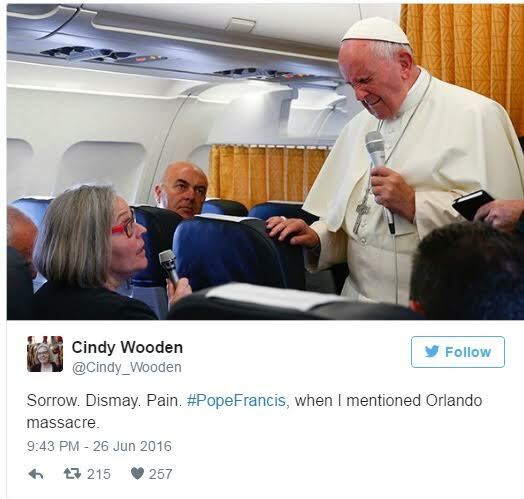 The Pope was also asked, by the same journalist, whether Christians bear some blame for hatred toward the LGBT community, as horrifically demonstrated in the Orlando massacre at a gay night club that killed 49 people on June 12. "I repeat what the Catechism of the Catholic Church says: that they must not be discriminated against, that they must be respected and accompanied pastorally,"
"I believe that the church not only should apologize to the person who is gay whom it has offended," he added, "but has to apologize to the poor, to exploited women, to children exploited for labor; it has to ask forgiveness for having blessed many weapons." "One can condemn, but not for theological reasons, but for reasons of political behavior...Certain manifestations are a bit too offensive for others, no? "But these are things that have nothing to do with the problem. The problem is a person that has a condition, that has good will and who seeks God, who are we to judge? And we must accompany them well."